Online registration at the conference website is required for participation in the event. This also applies to invited speakers, contributors, moderators, members of the press and guests. After completing the online registration form, the participant will receive an e-mail confirmation (automatic reply) and an invoice indicating the amount due. The invoice can be retrieved online at any time and will serve as a certificate of participation after payment has been received. 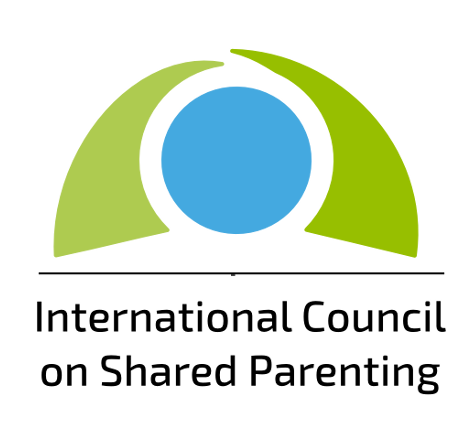 The fees for participation in the International Conference on Shared Parenting 2018 include all plenary events and workshops listed in the final conference program. Participants can get lunch in the COE canteen. All cancellations and changes must be submitted by email to the ICSP General Secretariat – with indication of full name, invoice / reference number and bank details for reimbursement. If cancellations are received by 31 October 2018, the registration fee will be reimbursed minus an administrative fee of 60 Euros (incl. VAT). If cancellations are received after 31 October 2018, or in the case of non-attendance, there will be no reimbursement of the registration fee. Changes to the registration, such as a name change or the registration of a replacement participant, can be made free of additional charges after payment of the registration fee has been received. Such changes must be emailed to ICSP at info@strasbourg2018.org. We use secure technologies to ensure the data protection of sensitive data. Information provided for the registration will be stored in our computer database for further processing within the prevailing relevant legal restrictions. The database can only be accessed by authorized persons responsible for technical, financial or editorial processing via the server. Personal data will not be passed on to third parties and will not be used for marketing purposes. An official list of attendees will be published for the event, including full name, title, position, organization, e-mail address city and country of origin. If you want to be included on in the list, you can agree to this option in the appropriate box on the registration form. Photos will be taken during the event and may be used for public relations purposes by ICSP and will also been published on Internet pages. These data will not be used for commercial purposes. By attending the conference, participants agree to having their photograph taken. People wishing to not have their photo published must email this to ICSP at info@strasbourg2018.org. The conference organizers are in no way responsible for any insurance-related claims. The conference organizers is are not liable for damages to participants that occur in connection to attendance at the event, unless the damages were intentionally caused by the organizers or occurred as an act of negligence on the part of the organizers. The conference organizers reserve the right to change the program, related activities, topics and participating speakers if necessary. ICSP is not liable for losses incurred by cancellation of the conference as a result of circumstances beyond their control. Should the organizers be required to cancel the conference, registered participants will be informed via e-mail. Registration fees will be fully reimbursed if they were verifiably paid. Further reimbursements of costs and liabilities will not be incurred by the organizers - irrespective of the reasons for the cancellation. If any content or design of this site infringe third party rights or statutory provisions, we ask for a message free of charge. We guarantee that the complained about will be removed immediately, without the intervention of a lawyer is required on your part. The cost of a cease-and-desist order without prior contact with us will be rejected in accordance with the duty to mitigate damages as unfounded and it is optionally counter filed suit for violation of said provisions.